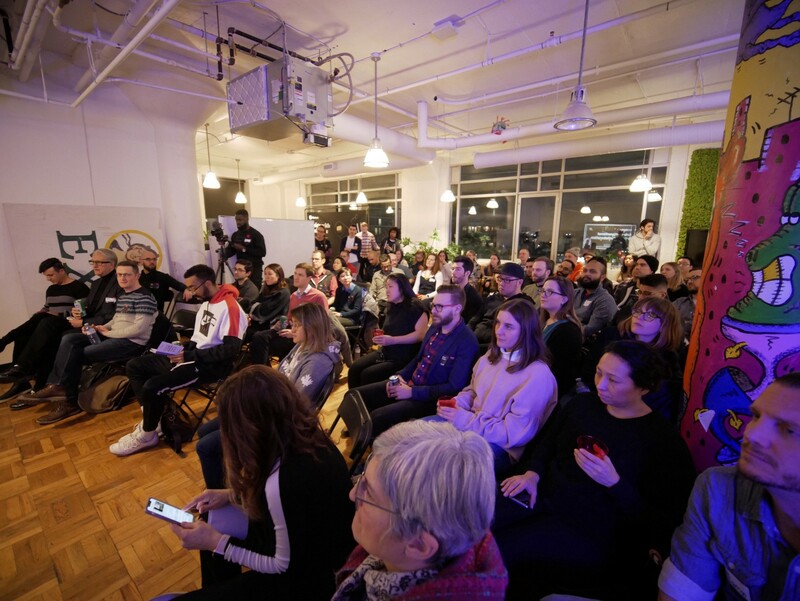 We kicked off 2019 with events catered towards senior designers, design leads and heads of design who’re trying to work through the challenges that come with cross functional design teams. Playground Inc. (Toronto) and Digitalist (Vancouver) generously hosted our lineup of speakers as well as design leaders in our community for an evening of discussions on what makes a productive team and how to strengthen the collaborative experience for the team as well as quality of the end product. There’s teams that are agile, lean, etc. and the essence of them is that they’re laser-focused…in order to move fast and break things but being so laser-focused on your own goals makes you prone to missing things. Eventually when you come out of your workspace to let someone know, “hey, I’ve been working on this thing,” you might realize there’s a serious misalignment. 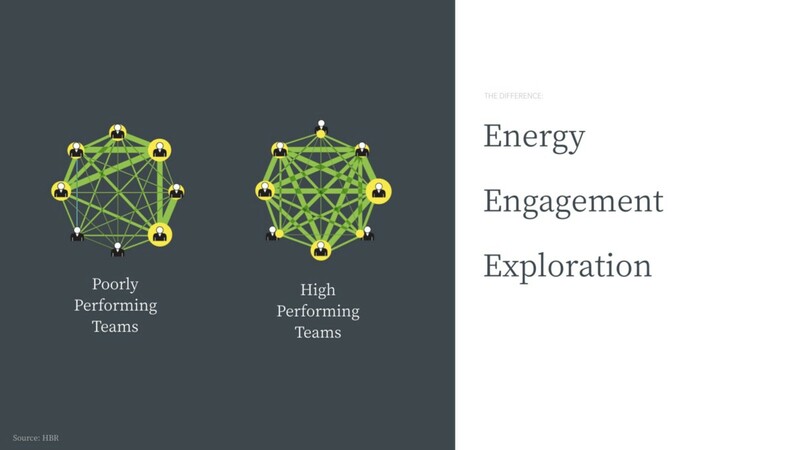 The difference between low and high performing teams is their energy, engagement, and exploration. It’s the shift from being laser-focused on your own goals versus going out and talking to other teams and bringing knowledge back to your team. How can we support cross collaboration in a more formal way? We could shift team structures. 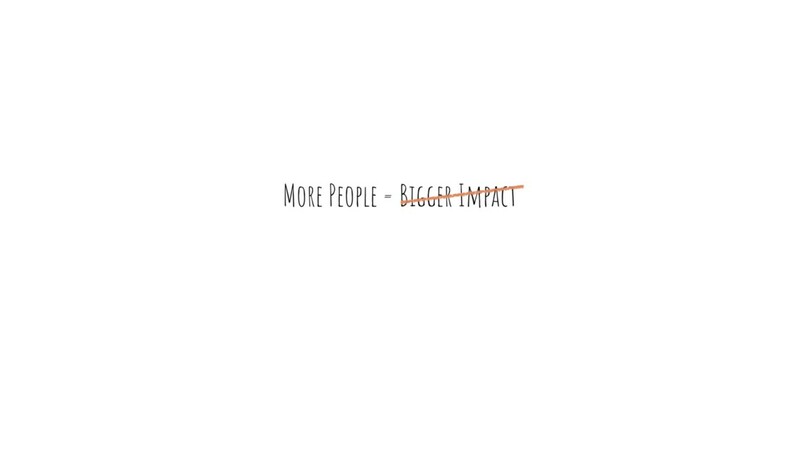 At Canada Post, we group teams based around shared missions…ie. visual designers with design strategists. People who have shared goals can build on standards together. If you group people from too far outside of their missions together, it’s easy for those individuals to start tuning out and trying to be productive without being present during these meetings. 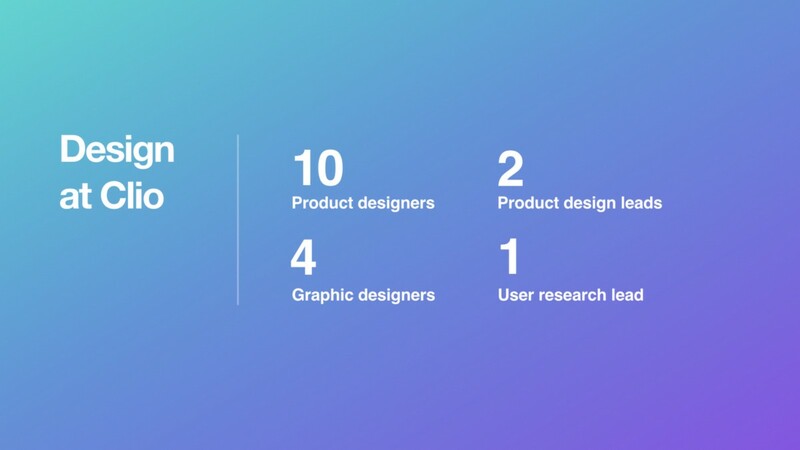 We want to help our designers become better designers and in order for that to happen, ‘how comes’ should also be measurable. Collaboration can be hard, especially in a large corporation (like TD Bank), and it requires a level of respect for the different roles and responsibilities of each individual. There’s a ton of work to be done before development and it takes a lot of collaboration and planning. High-level designs require a developer in the room to validate what can and can’t be done. Epics get broken down into smaller story cards but we need to keep track of the big picture at all times. 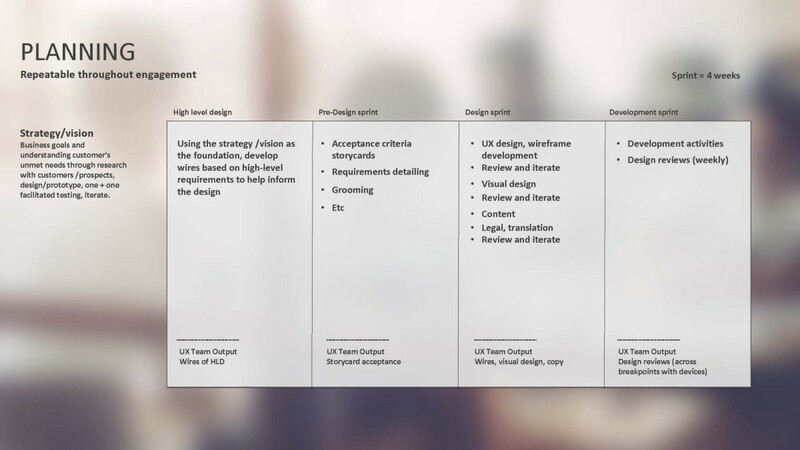 We start with high-level wireframes, which of course, can change as the sprints evolve. 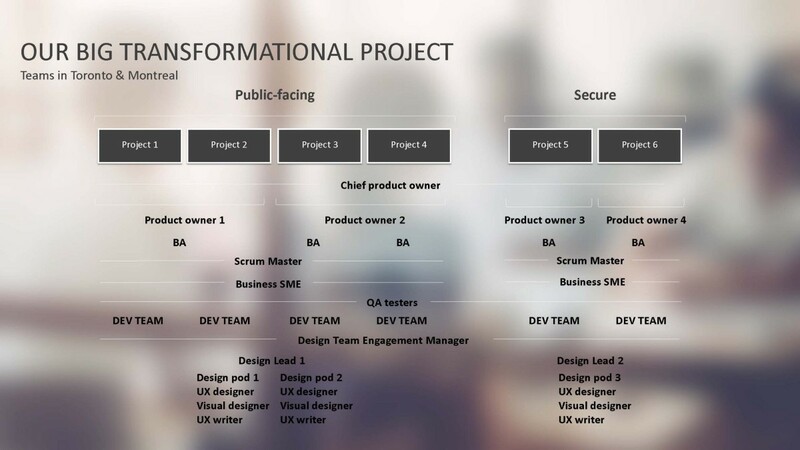 Ideally, we try to be two sprints ahead and that take a lot of planning. In the first month, new employees get trained in support and answer support calls. This is incredibly expensive, especially if you were to train (say) a new VP to pick up customer calls for a month, but it does build empathy for the rest of the organization. 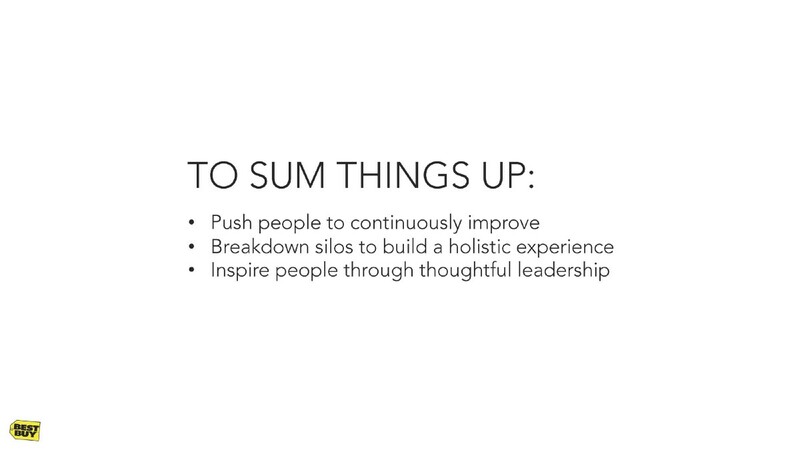 Our triad is a leadership team of three from product management, design, and engineering. We meet with the CEO daily and communicate just as often, to keep each other on the same page about progress and current status of our teams. The triad also exists at the squad level, within our teams. We prioritize triad meetings over meetings with other designers. We feel that the autonomy of that team to ship value to customers is more important than designers chatting with other designers. Design team has the ability to block a release. PMs might be shocked but designers represent the quality of the product that goes out to the customers which impacts our brand. We have weekly sinks where everyone shares what they’re working on but the focus is to connect afterwards. If you have any insight on a problem someone is working on, chat after the weekly sink. We have to balance transparency with time. We don’t want to get stuck on everyone’s little details. We need to build a muscle horizontally, focusing on individual domains. We call it communities of practices (e.g. UX, content strategy, design). 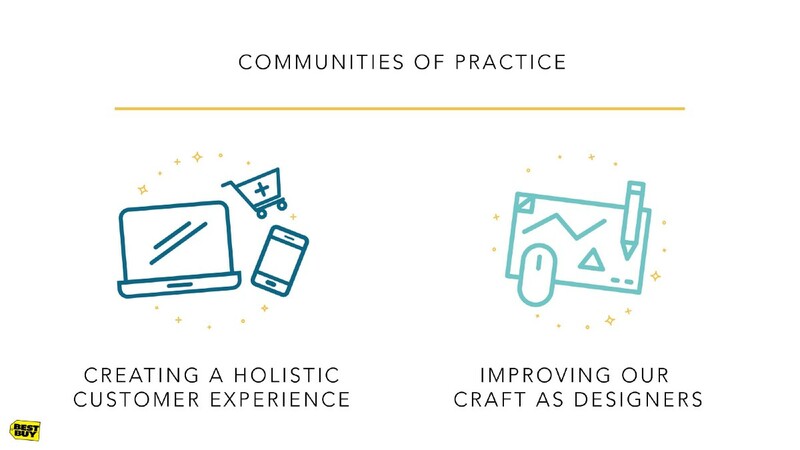 Within these communities of practices, we come together to make sure we’re always creating a holistic experience for customers as well as working on improving our craft. In a 9 to 5, you can easily fall into the trap of solely focusing on getting your work done and losing yourself in the nitty gritty details of little tasks. You might not make time to read inspiring articles or notice that new Adobe update that might improve your workflow and make your job easier. That’s what our communities of practices is for. Thanks to Kevin, Karen, Ernie, and Jaydn for sharing their insights on cross functional design collaboration. Don’t forget to check out the event photos from Toronto and Vancouver. We’d also like to thank the best audiences ever — you kept the conversations going and we hope you bring the discussions to your own teams as well. In the meantime, stay connected with DesignX for more upcoming events, discussions, and content! If you have any thoughts or feedback to share about this event or topic, we would love to hear from you! Hit us up at hello@designx.community. 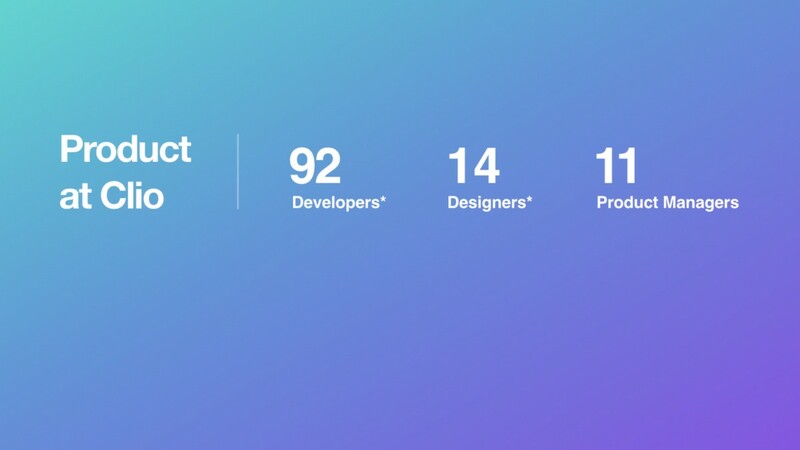 Thoughts from the DesignX team and the community at large.